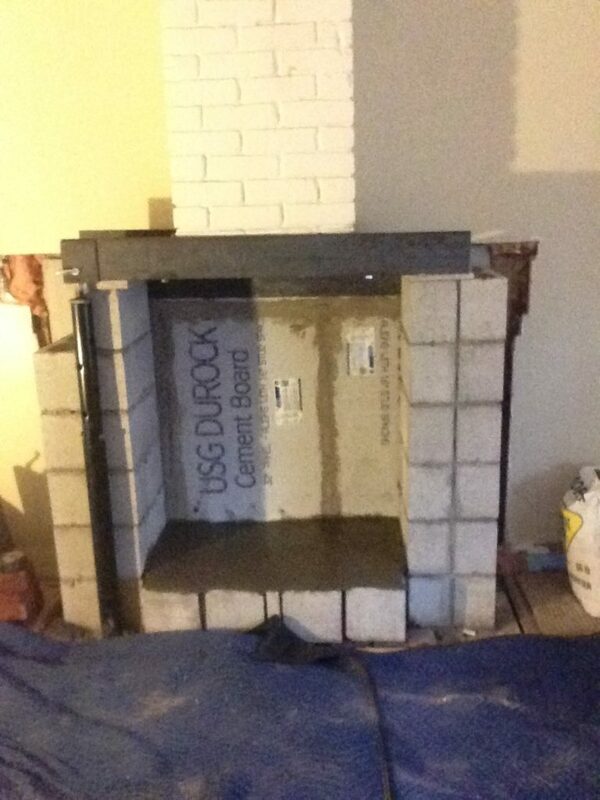 In this fireplace rebuild we needed to support a very old two-ton chimney while removing the main floor’s fireplace and the basement’s footing, then rebuild the basement structure and main floor fireplace properly to pass an insurance inspection with a new wood burning fireplace insert. All the other contractors declined the job offer. Not only did we pass the insurance WETT inspection, but the white paint on the chimney on the first floor didn’t even crack as we released the supports as it began to sit on the newly built structure in the basement and main floor. Holding a two ton chimney perfectly in place above a hole in the floor, supported on steel lintels and twin pillars of blocks sitting on a new basement structure, and then reconnecting it, was a feat of planning and execution. I earned a thanks and a nice parting gift. It was a pleasure to do this challenging project.